Millions of people in the United States and around the world have used the Roundup "miracle" weedkiller, to deliver knock out looking yards and gardens. Daily, particularly in the spring, garden and plant enthusiasts are bombarded with Roundup tv ads, extolling the virtues of this weed killer. But this garden beauty and convenience comes at a great price. The toxic weed-killer Roundup has been declared a “probable human carcinogen” by the World Health Organization (WHO). Medical studies have found strong evidence linking it to non-Hodgkin’s lymphoma, a potentially lethal form of aggressive cancer. It has also been associated with severe kidney disease, congenital defects and abnormal fetal development. Dr Shezad Malik Law Firm is currently accepting Roundup cancer injury cases in all 50 states. If you or somebody you know was diagnosed with cancer, you should contact our attorneys immediately for a free case consultation. Please use the form to contact our Attorneys or call us toll-free 24 hours a day at 888-210-9693 ext. 2, 214-390-3189. 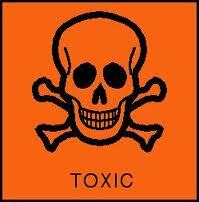 Roundup is the most widely-used weed-killer or herbicide in the world. Roundup is used on millions lawns, gardens, school playgrounds, orchards, parks, and nearly every corn and soybean farms in the United States. I am sure every reader of this Roundup information has a bottle of Roundup at home. How Does Roundup Kill Weeds? Roundup's key chemical is glyphosate and was manufactured by Monsanto in 1974. Glyphosate direct action blocks an enzyme that is critical to plant growth and life. In September, 2015, a fieldworker was diagnosed with bone cancer after being exposed to the weed-killer Roundup and has filed a lawsuit against Monsanto Co. In August, 2015, in Hawaii is introducing legislation that would ban the spraying of Monsanto’s weed-killer Roundup and other herbicides. In June, 2015, France has been banned from garden centers after it was declared a “probable” human carcinogen by the UN. In June, 2015, Denmark’s Working Environmental Authority has declared Monsanto’s toxic weed-killer Roundup a carcinogen (cancer-causing chemical). According to Danish experts, "We know that glyphosate causes cancer in other mammals, but it has not been demonstrated in humans. That is because the effects are not investigated thoroughly enough in people yet. But when we see that other mammals get cancer from glyphosate, we must assume that people who are exposed to the substance can also develop cancer." Humans biologically are not that different from animals or immune from toxic substances. Roundup use grew exponentially in the mid-1990s and exploded, when Monsanto started selling genetically-modified (GMO) corn, soy, and cotton seeds. The DNA in the seeds were tinkered with in the lab to be resistant to glyphosate. In other words, the corn, soy and cotton seeds were genetically modified to withstand the destructive power of Glyphosate. Currently, glyphosate products are used on over 50% of American farmlands and is a big cash cow for Montsanto, generating over $6 billion in yearly revenue. In the past 20 years, there is growing evidence connecting Roundup with cancer. The announcement was based on “convincing evidence” that glyphosate causes cancer in laboratory animals. In humans, there is “limited evidence” linking Roundup and cancer, including non-Hodgkin’s lymphoma and DNA/chromosomal damage. A Swedish study in the International Journal of Cancer, October 2008, found that exposure to glyphosate doubled the risk of developing non-Hodgkin’s lymphoma within less than 10 years. An American study in the Occupational and Environmental Medicine, September 2003, found that farmworkers in the midwest found higher rates of non-Hodgkin’s lymphoma associated with glyphosate exposure. A Canadian study, Cancer Epidemiology Biomarkers, November 2001, reported that they found a dose-response relationship between glyphosate exposure and non-Hodgkin’s lymphoma. In April 2015, a Roundup class action lawsuit (Case No: BC 578 942) was filed in Los Angeles County, California.